The fashion is just an eternal restart and the years mark its evolution. The Roaring Twenties are characterized by willowy silhouettes, bells hats, flanged shoes, boyish cut, cigarette holders, necklaces and lipstick! 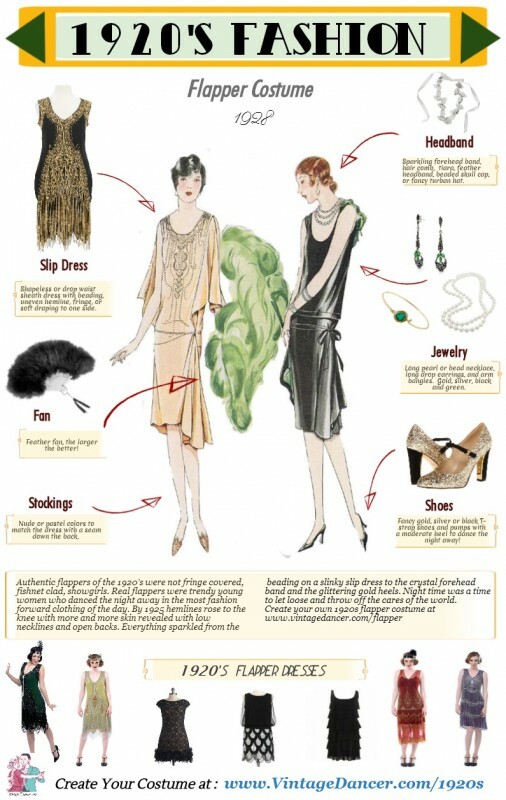 For this theme, recreate a typical character of the “20s” (Roaring Twenties). Registration period for this Fashion show is from Tuesday, November 28th at 10:00am to Monday, December 4th at 10:00am. Take your time to prepare your creation! Check that your outfit is consistent and respects the theme before you sign up. Difficulties to understand this theme or the parade? You can find help (and many tips) to follow the rules on the forum. To access it, go to the page of the parade and click on the link “Details of the parade”. – Note that sewing machine creations do not appear in the parade. – If you can not follow the requirements of this theme, wait for the next one at the risk of being put aside or worse to be banned for not respecting the theme. – The Rules of the Fashion Show are available from the contest entry page by clicking on “Rules” at the top right. – Multi accounts are limited to 3 entries per person, any abuse will be sanctioned by a ban. Which Creation will be most appreciated on OhMyDollz?